The track timing system includes software and hardware. 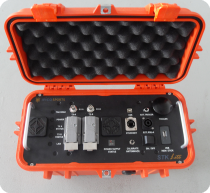 We also provide the hire service of our hardware devices. 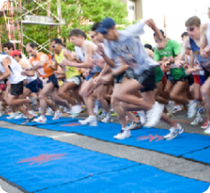 When using our system, the organizer could save human and material resources and provide more and better services in short time improving the accuracy of the results and making match more fairly for some matches which have many players, such as marathon, walking race and road events.. 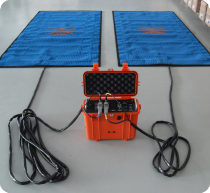 There are three main devices in our system, they are timing readers, timing mats and tags. The reader has the ability to read many tags (up to 120 tags simultaneously), waterproof design, work around the clock and withstand a certain degree of external electronic interference. Power requirements: 12V DC, 3A(gives 4 hours continuous operation). Physical size: 340*220*440mm, weight: 12KG. Operating frequencies: 125kHz transmit, 6.8MHz receive. 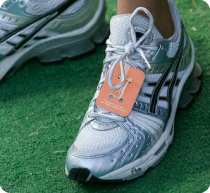 Read Performance: 0.6m range with 57*43mm STK shoe tag. Antenna type: can connect two 2.5m*1.2m timing mats. 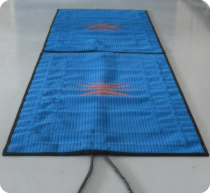 The mat antennas are used together with the reader to provide a complete sport time-keeping. When the antenna picks up the response signal from a tag, the reader records the time and participant’s tag number. The antennas are robust and waterproof, and can be used for timing of running and cycling events. They are hard-wearing and can even withstand being driven over by motor vehicles. Material: Blue fabric by AKO. 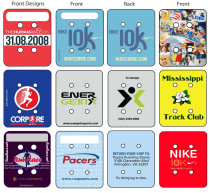 The RFID tag was designed very portable just like a small card with four holes. And the player could place it on the shoes, then the reader can pick up signal to get athlete’s information conveniently. The tag has long read range, strong reliability, high tag transmission rate and read rate. At the same time, it can be waterproofed, high temperature born, UV resistant. Physical size: 46*57*1.8mm, weight: 6.3g.